Enjoy the gorgeous and tranquil WATERFRONT VIEWS from your EXTENDED Lanai!!! This single family CALAIS floorplan home is LIGHT and BRIGHT and AIRY (with cathedral ceilings) offers 3 FULL bedrooms, 2 full baths, 2 car garage in MONTEREY!! All the main living rooms have 24" porcelain 'marble like' tile flooring. Bedroom floorings are honey oak. Extended kitchen/family room SS appliances and granite countertop. Large center island will be the center of your entertaining in the generous kitchen. Garage has added insulation. Brand new Carrier AC installed 11/2018. 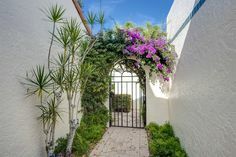 You've truly found your piece of PARADISE in the heart of the much coveted N Naples community of MONTEREY located off of Orange Blossom. MONTEREY has just TOTALLY RENOVATED (2017) all the amenities ...clubhouse, Jr Olympic pool, fitness room, picnic pavilion, multi-purpose sports court (basketball/pickle ball), playground. There are 3 re-nourished (2018) Har Tru lighted tennis courts. Monterey also has 24/7 guard gate security. Enjoy the gorgeous and tranquil WATERFRONT VIEWS from your EXTENDED Lanai!!! This single family CALAIS floorplan home is LIGHT and BRIGHT and AIRY (with cathedral ceilings) offers 3 FULL bedrooms, 2 full baths, 2 car garage in MONTEREY!! All the main living rooms have 24" porcelain 'marble like' tile flooring. Bedroom floorings are honey oak. Extended kitchen/family room SS appliances and granite countertop. Large center island will be the center of your entertaining in the generous kitchen. Garage has added insulation. Brand new Carrier AC installed 11/2018. 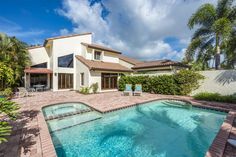 You've truly found your piece of PARADISE in the heart of the much coveted N Naples community of MONTEREY located off of Orange Blossom. MONTEREY has just TOTALLY RENOVATED (2017) all the amenities ...clubhouse, Jr Olympic pool, fitness room, picnic pavilion, multi-purpose sports court (basketball/pickle ball), playground. There are 3 re-nourished (2018) Har Tru lighted tennis courts. Monterey also has 24/7 guard gate security.